On the third day of my Guangzhou trip during the New Year, we went to the stationery wholesale market at Huang Sha. We have decided not to take the taxi but instead have a morning walk to Huang Sha. Thanks to the map application on my phone which had successfully guided us to our destination successfully. It’s quite a long walk like 30 minutes. It’s always nice walking on foot because you can see a lot of things, you can feel local too. It was like 10 in the morning and the area was like a little market with stall set up on the road side selling stuff like vegetable and food. We turned into Tiyun Dong Lu. It’s not really a very crowded place although there’s still people walking on the street. It’s quite quiet with a few cars passing occasionally. The place that we walked past was definitely not a tourist area. It’s local. They sell animal like snakes and scorpion. The local told us that it’s used for making some sort of Chinese soup and it’s good for health. I got no idea how to make it. They all lies in the cages. It’s seems like the business was not so good, I didn’t see people buying it while I was there. Wrong timing I guess. There’s also ugly skinned goat hanging just by the roadside preparing to be chopped into parts. You can seldom see it here in Malaysia. We probably have an enclosed area for working on these. We were trying to walk till the end of Tiyun Dong Lu and then turn into Datong Lu, but then the end of the road was blocked due to construction of building. Then we found a little wet lorong (alley) which connected us to the main road (Liu Er San Lu) which will then lead us to Huang Sha. It’s a big main road on your left which is also the Nei Huan Lu (Inner Ring Road). Walked along it to the west and you will see Huang Sha Da Dao and then Huang Sha Hou Dao. If you still got no idea about where are you and how to go, you can always go into the metro station and check out the map at the station. Mom said she would never walk into this alley because the local there hangs their underwear out there and she wouldn’t want to walk under it. She said it’s pantang. Haha, I’ll remain commentless with that. We reached Huangsha Hou Dao 黄沙后道 after some times of walking. You will notice a lot of shop lot selling stationeries and office products. 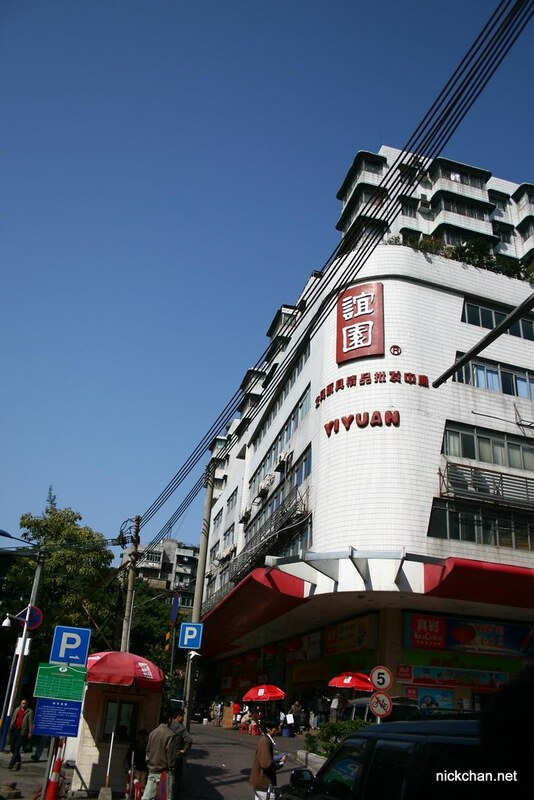 Yiyuan Stationery Wholesale Market was where we went into. It’s known to be the oldest stationery and toy wholesale market in Guangzhou but later it had became a standalone stationery wholesale market. Toys wholesale market is near to Haizhu Plaza which I will talk about it in another time. Mark this place if you are looking for lots of pens in wholesale price. It’s a good place to seek for stationery supplies, for business or yourself. We bought like a lot of pens and calculator for dad’s office. *Chung Ling student, if you are looking for cheap black gel pen, I am selling at RM1 each. There’s also correction pen for RM2 each. Look for me at 5SA1.